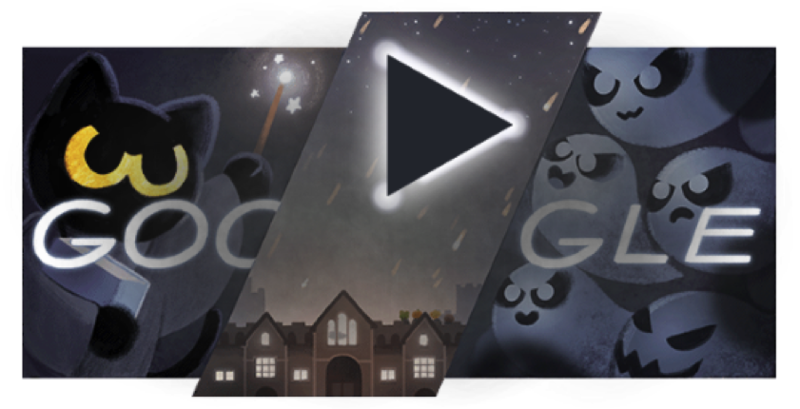 A few months ago I delved deep into my favourite animated Google Doodles partly for my own nostalgia and partly for your entertainment, I suppose… Well I’m back with even more animated search engine awesomeness this week, but this time all of the Doodles are interactive in some way! When you’re in the middle of a big project and need to jump on Google to search for a reference you hate to see one of these absolute productivity killers, but you’re already reading this article so you’re not getting work done any time soon anyway, so let’s crack on. Ah yes, we love a bit of Ludwig van. He’s stepped in it here though, losing his sheet music in a number of unfortunate flubs whilst on his way to the symphony hall, plonker. It’s up to you to piece together his most iconic compositions in the right order in this clever little musical puzzle game. This feline quest is too cute for words. 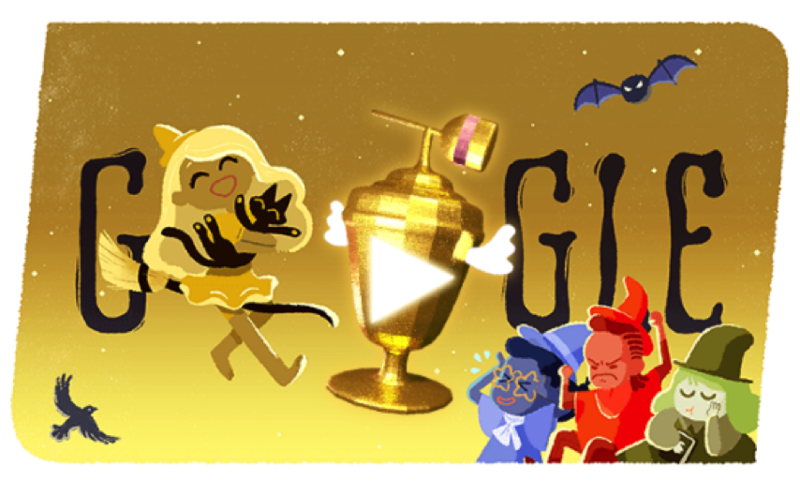 It’s a surprisingly addictive, gesture-based 2D game where you have to fight against ghosts by drawing a series of matching shapes to rescue The Magic Cat Academy. It even has bosses! You’ll be forgiven for not recognising this fella, I didn’t know who he was either. 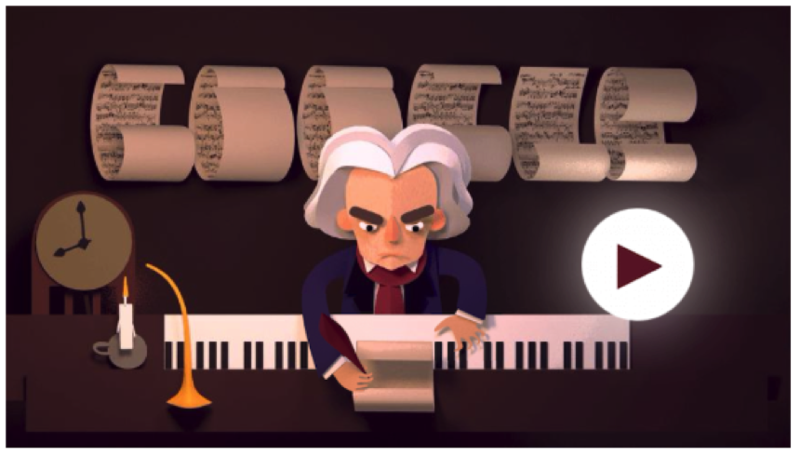 Turns out Bartolomeo Cristofori is the inventor of the piano! What better way to celebrate a man who had such a massive impact on music than a cartoon animation of his creation in action. My favourite cycle is his low-key headbanging. Eiji Tsuburaya was a director famous for his iconic Tokusatsu style movies which were essentially giant monsters and a wagonload of practical effects. Think Pacific Rim, Power Rangers and Godzilla and you’re there. 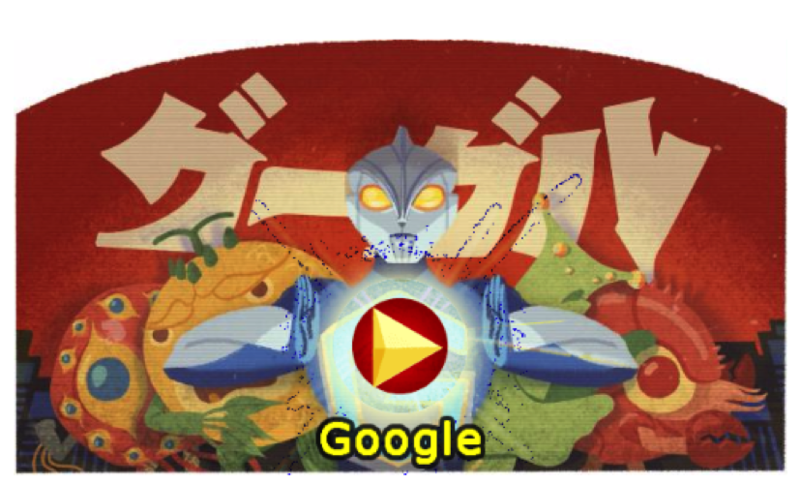 Jump into Tsuburaya’s shoes in this Doodle which involves piecing together one of these live-action movies from a 2d animated perspective. 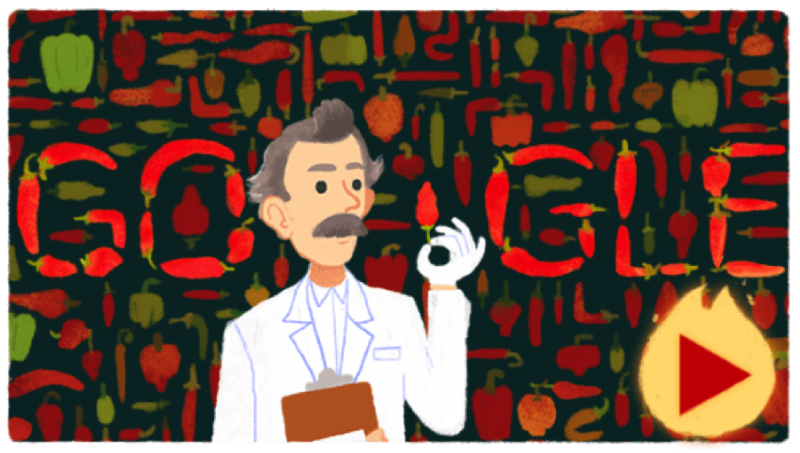 Wilbur Scoville was a genius when it came to studying peppers and also probably a bit of a glutton for punishment. You might have heard of Scoville Units before if you’re into spicy foods, it’s the unit of measurement associated with how spicy a pepper is. Play as a plucky little ice cream cone and take on some of Scoville’s most iconic peppers in this simple rhythm, beat ‘em up. We’re pretty spoiled by modern communication, you can pick up a phone and say g’day to someone on the other side of the planet in seconds if you wanted to. 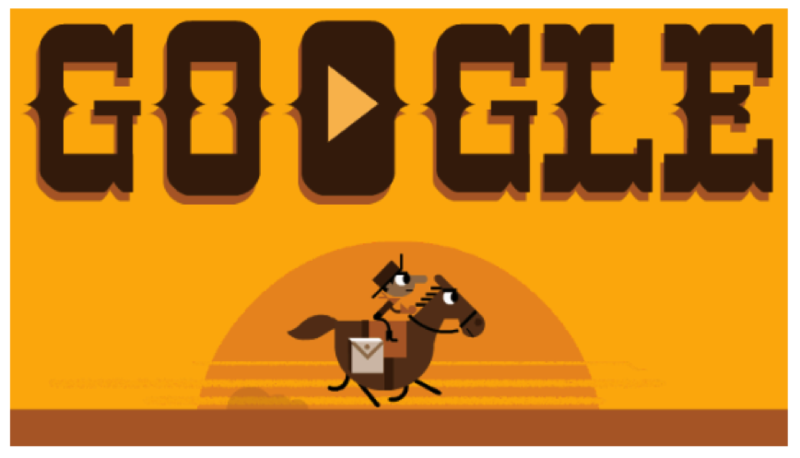 Well 155 years ago, you needed to jump on ponyback in order to send your messages across the USA. This sepia tone 2D interactive Doodle sees you doing just that: trekking from California to Missouri all in the name of those valuable letters. If you don’t know what a Venn Diagram is, did you even go to school? Well here’s your chance to get in the know – choose two categories and this Doodle will create a Venn Diagram out of them. I love how proudly the portly little Venn pops out and presents his invention. Does this remind anyone else of the Go series (Lara Croft Go, Hitman Go) which are taking mobile gaming by storm at the moment? I guess they took a leaf out of Google’s books because this awesome isometric puzzle game is so polished that it would probably sell quite well on the app store. Choose your favourite Doctor and get stuck in. To end on a simple one, Hurdles 2012 which was displayed as part of the London 2012 Olympic Games series is our favourite of the lot. What I love most about Hurdles is the endearing, slightly goofy run cycle that the hurdler has. He swings his oversized arms so naturally you can’t help but smile. Pair that with his comically exaggerated bounding jumps and you’ve got one really simple animation that’s a big win in my book. Got a favourite that I didn’t mention? Jump on our Twitter @fudgeanimation or our Facebook and set us straight!